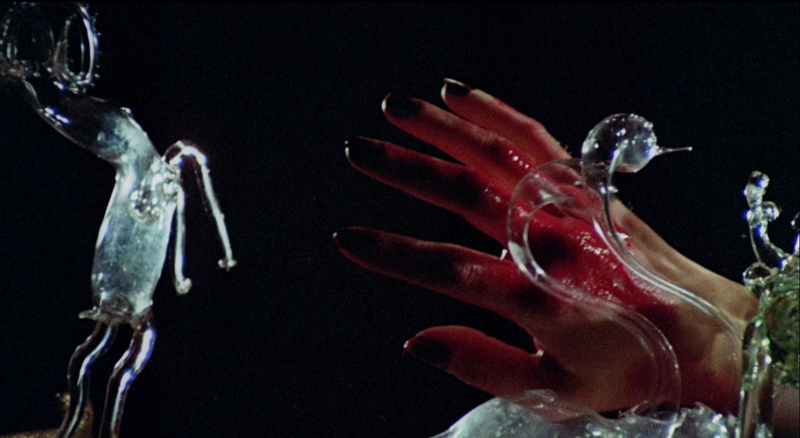 Color, 1974, 97 mins. 51 secs. 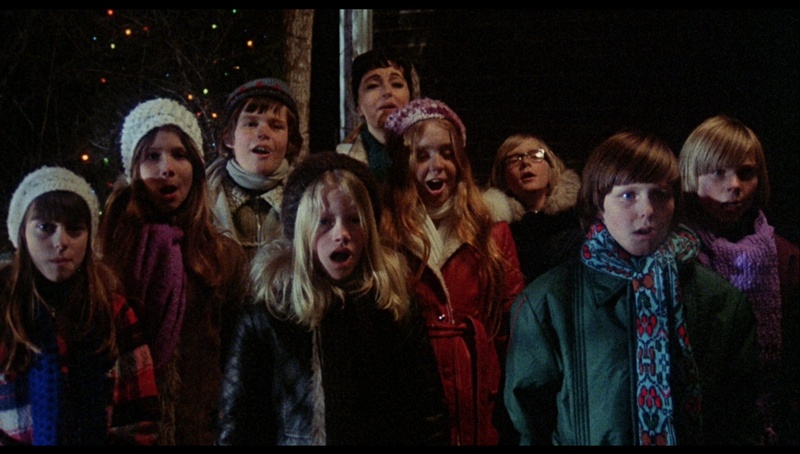 Years before he crafted the ultimate comic yuletide film experience, A Christmas Story, Canadian director Bob Clark put a completely different slant on the revered holiday with Black Christmas, a chilly little gem which has been popping up on cable over the years under the titles Stranger in the House and Silent Night, Evil Night. Though not as well known as many of its American imitators, this film is quite a class act and still manages to scare the living hell out of viewers. Skillfully shot and edited, this film marks the final and strongest entry of the late Clark's all-too-brief horror career which also included Children Shouldn't Play with Dead Things and the eerie Deathdream (and, some argue, continued with Murder by Decree). Though it has been imitated countless times (When a Stranger Calls in particular), Black Christmas holds up thanks to very strong performances (fresh off her turn in Brian De Palma's Sisters, Kidder is a particular standout as an asthmatic foul-mouthed party girl) and an unexpected, welcome streak of irreverent humor running throughout the film. 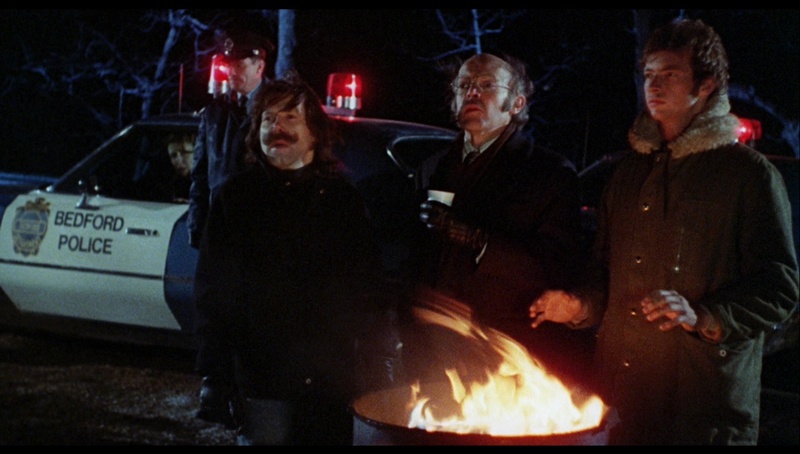 Of course, Clark also includes one of his trademark scenes of cops cracking up for minutes on end (repeated famously in his later Porky's) and utilizes a marvelous sense of both visual and sound cutting (for example, the Hitchcockian moment when a grieving mother opens her mouth to scream only to cut to a ringing telephone). The rumbling, abstract score by Carl Zittrer alternates with chilly Christmas carols to create an unsettling soundscape (eventually given a belated soundtrack release on vinyl only in 2015). 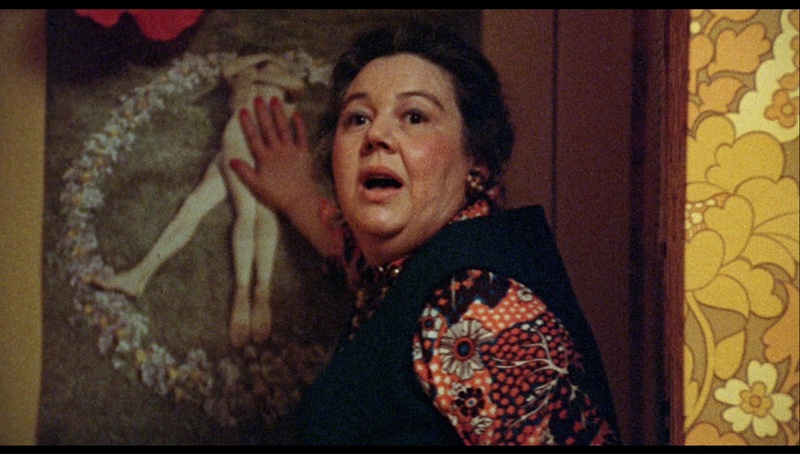 The killer's voice is one of the most nightmarish ever conjured up on film, prone to screaming and weird shifts in vocal tone that set the viewer on edge within the first five minutes. What really makes this film, though, is the scares. The first attack is a great seat-jumper, and from there Clark delivers one powerful jolt after another. The close-ups of the killer's eyes, reminiscent of The Spiral Staircase, are guaranteed to induce chills, and the wintry Canadian setting spotted with colorful splashes of Christmas lights manage to create a shuddery, chilling effect even when the film is viewed in the middle of summer. 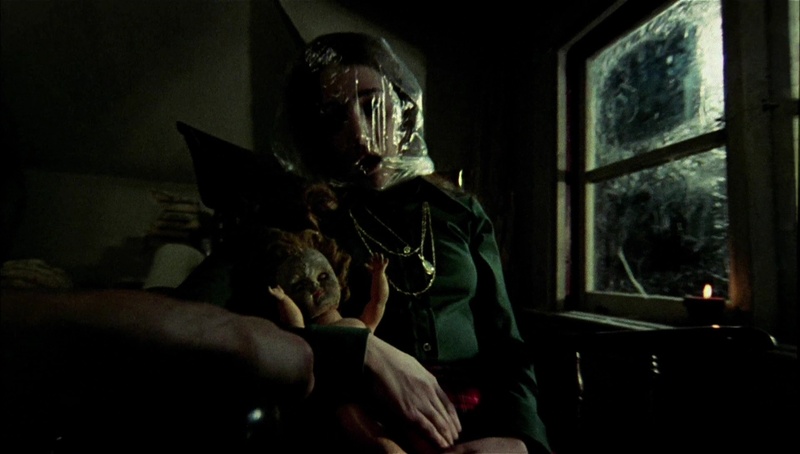 Perhaps stymied for years due to the bleak, open-ended final plot twist, Black Christmas would undoubtedly be recognized more widely as the visceral horror classic it truly is. First released very briefly on laserdisc from Image during its flood of Warner horror titles in the '90s, Black Christmas has had a checkered history on home video with special features and aspect ratios shifting around left and right. The matted laserdisc looked fine, composition-wise, and added more to the sides while losing a little from the top and bottom compared to the mediocre VHS version. Canada first came to the film's rescue on DVD in 2000 with a "25th Anniversary" special edition. (Okay, they missed it by a year, but who's counting?) As a sticker on the back explains, the company decided to retain all of the available visual information from the film's negative, which means a completely open matte transfer. Apart from an overly spacious amount of headroom, the framing looks okay. 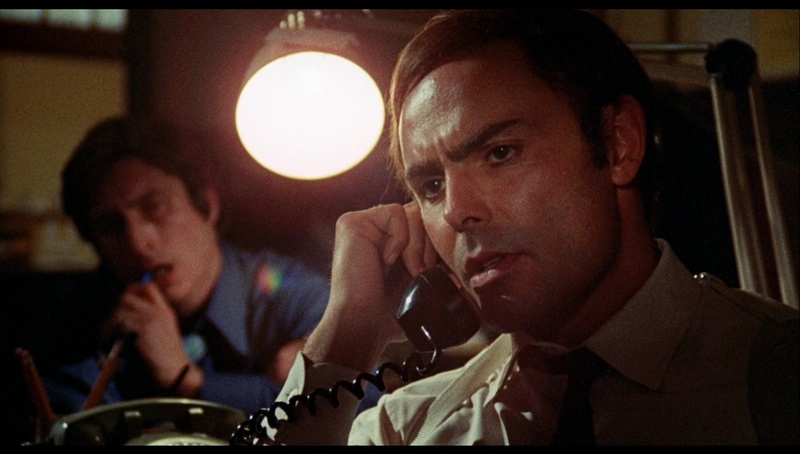 The disc also includes a very long, spoiler-crammed trailer under the original title, as well as two short interview segments with John Saxon, who had just watched the film for the first time in decades. His recollections are warm if more than a little sketchy, and he obviously holds the film in high regard. In what may be a DVD interview first, Saxon's tailor receives a prominent credit on the menu screen. After that things got really strange. In 2002, Critical Mass revisited the film for a matted 1.66:1 non-anamorphic transfer with extras including the 36-minute "Black Christmas Revisited" featurette (with Hindle and Griffin heading back to the original sorority house, featuring interview tidbits with Clark, Saxon, Zittrer, Dullea, and producer Gary Arbeid), the trailer, TV and radio spots, both alternate title sequences, a poster gallery, a Canadian TV Dark Dreamers interview with Saxon (20 mins. ), a longer cut of the Saxon interview on the earlier disc, a 25-minute Clark interview, and last but not least, two excellent audio commentaries, one with Clark and another with Saxon and Dullea (recorded separately but cut together). Look closely for a couple of really welcome Easter Eggs, too. Then in 2006, the film's right passed over to Somerville House, who handled Canadian and United States distribution for a while (excepting French-speaking Canada, where Anchor Bay ported over their DVD and Blu-ray editions with different, superior cover art). Their release was later ported over to Blu-ray in 2008 with the same extras from the same transfer, a 1.78:1 HD scan from the original negative that looked pretty solid on DVD but fared less favorably in 1080p with all of its grain, jitter, speckling, and noisiness accentuated considerably. Their release ditches most of the preexisting extras, instead opting for a couple of scenes with alternate vocal performances, a "12 Days of Black Christmas" featurette (packed with contributions from the major cast members and cinematographer Albert Dunk), a revival midnight screening Q&A with Saxon, Clark and Zittrer, and separate interview segments with Hussey, Hindle, and Kidder. The Blu-ray was also heavily compressed, resulting in some nasty artifacts throughout that made the experience far less than optimal. The same extras and transfer were utilized later for a German release, which at least afforded the film a much higher bit rate and benefited greatly in the process. In between the Critical Mass DVD and Blu-ray releases, a different HD transfer popped up on the channel HDNet courtesy of Warner Bros., whose shield logo remains at the beginning. This transfer was interesting in that it represented a censored version prepared for more puritanical territories, with certain words during the telephone calls (you can probably guess which ones) loudly bleeped on the soundtrack. (In the UK, the calls were just trimmed down for most screenings.) Secondly the transfer looked terribly, featuring a very dark, murky appearance that made it look worse than the laserdisc and VHS editions. In 2014, Anchor Bay Canada took another shot at the film with a "Season's Grievings" edition featuring new artwork by Gary Pullin, the same HD transfer, and a batch of welcome new extras including -- no kidding -- a "Billy" commentary (not quite as terrifying as you'd think as it's really voice actor Nick Mancuso kicking back and enthusiastically watching the film and offering off-the-cuff comments about the action, sort of in character as Billy and mocking the characters. (He also - accidentally? - reprises Abel Ferrara's most ridiculous quote from his Driller Killer commentary early on.) Pop this track on with the video turned off at your next Christmas party if you really want to freak out some party guests. 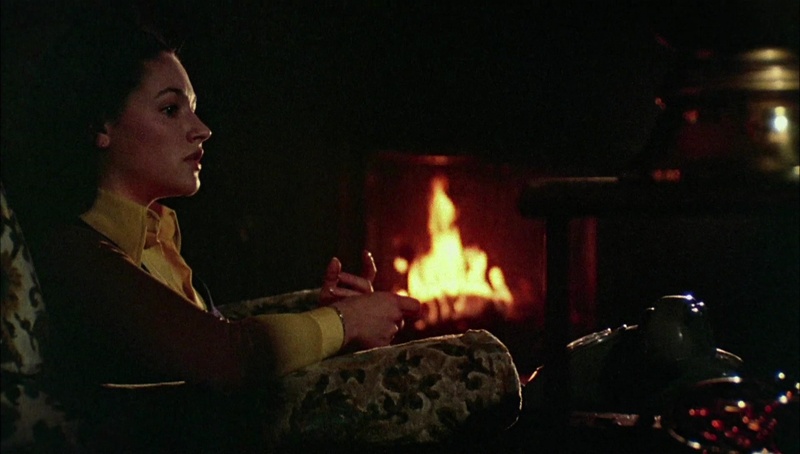 The 40-minute "Black Christmas Legacy" looks at the film's incredible lifespan with Griffin, Mancuso, Zittrer, artist Gary Pullin, My Bloody Valentine director George Mihalka, and journalists Bruce Kirkland, Richard Crouse, Dave Alexander, and Chris Alexander, plus archival bits with Clark, Hussey, Saxon, Dunk, and Kidder, touching on its impact on the slasher genre, Clark's idea for a sequel, and much more; there's some great footage of Mancusco doing his Billy commentary, too. A 40th anniversary panel at FanExpo from 2014 reunites Saxon, Hindle, Griffin, and Mancuso, moderated by Canuxploitation.com's Paul Corupe. Running a tight 18 minutes, it doesn't feature a ton of new information but Corupe gives a nice overview of the film's significance and does a good job of asking questions about the film's uniquely Canadian chilling qualities (including, yes, the hockey scene). Those Blu-ray releases left a lot of room for improvement, especially in the a/v department, and finally a decade later fans had the answer to their Christmas prayers with a two-disc Blu-ray release from Scream Factory -- who cautioned fans to keep their expectations in check about the new HD scan, given the less than dazzling state of the original negative. So, what do we have? On disc one you get the new transfer with DTS-HD MA 5.1, 2.0 stereo, or mono options (the latter with some roughness and distortion that prompted a replacement program for those who wanted it), with optional English subtitles. Also included are the Clark, "Billy," and Saxon/Dullea commentaries, plus an audio interview via phone with Clark about the film's enduring reputation and initial reception, clocking in under half an hour. The movie audio options aren't as different as you might expect; the mono is most authentic to the theatrical presentation, the stereo one adds a bit more bass to the mix but doesn't do much in the way of crazy channel separation, and the 5.1 sounds faithful to the source but adds some nice ambient effects to the front and rear speakers like blowing wind and echoing Christmas music. As for the new transfer, it's framed at Clark's preferred aspect ratio of 1.85:1 (perhaps controversially as it features a sliver less info on the sides than the prior edition, though again this was a film shot with a fair amount of safety area) and given a very generous encoding with the bit rate hovering between 35-40Mbps throughout (in other words, pretty maxed out). It handles the grainy textures better than any past release, looking more like natural film but still having that gritty '70s veneer. Colors are very bold and healthy throughout with reds and golds in particular looking more vivid than before, with deeper and richer blacks as well. Compared to some slicker studio product of the era it still suffers of course, looking softer and cheaper by comparison, but this is evidently the nature of the beast and definitely a welcome step up over the old transfer we've had for years. Speaking of which, the older HD transfer is included on disc two for those who might prefer it. The encoding isn't remotely as generous (hovering under 20), but given the inferiority of the transfer itself, that's acceptable if you want to watch that instead. (Audio is lossy Dolby Digital 5.1.) 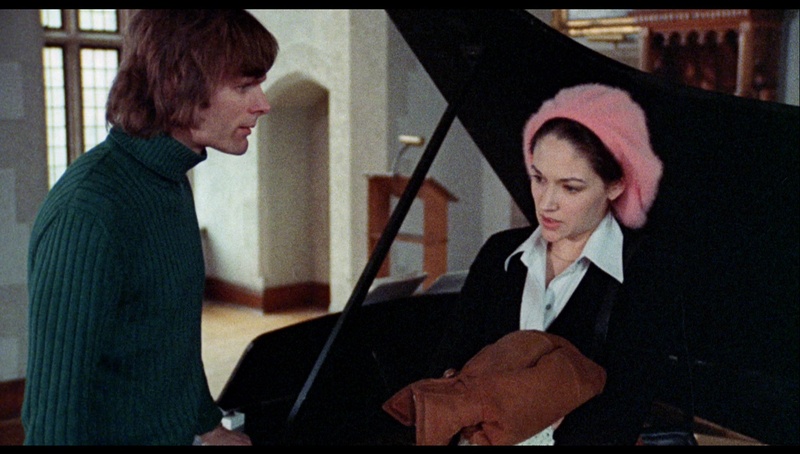 As for extras, well, you get almost everything from all of the prior releases here: the "12 Days of Black Christmas" featurette, "Black Christmas Legacy," the 40th anniversary panel, "Revisiting Black Christmas," the mini interviews (with Hussey, Hindle, Kidder, Clark, and Saxon), the midnight screening Q&A, the two alternate vocal scenes, the English and French trailers, the alternate title sequences, a stills and poster gallery, and three TV spots and two radio spots. That means you might want to hang on to the first Critical Mass disc only if you really want the open matte transfer or the second disc if you want the different Saxon interviews, but you can definitely chuck out the older Blu-ray(s) without hesitation. 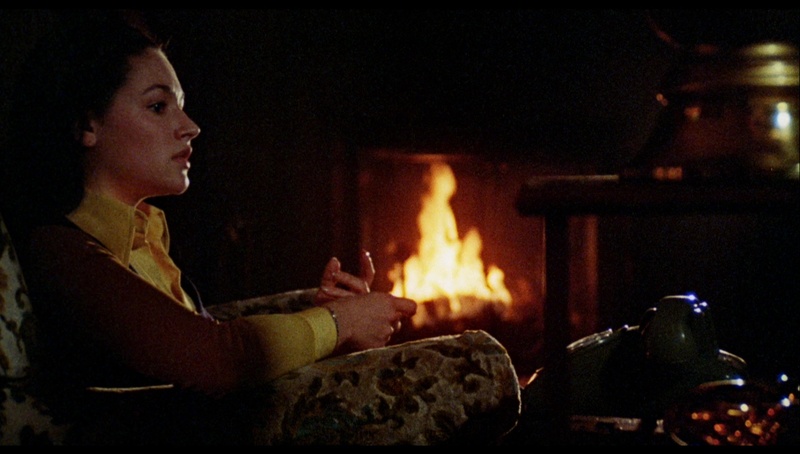 There are also a couple of welcome new stocking stuffers here, too, kicking off with "Film and Furs," a 26-minute interview with Hindle (a great interview as anyone who's seen the Blu-rays of The Brood and Invasion of the Body Snatchers can attest) about how he was discovered by Clark and developed a great rapport with everyone on the set, particularly Griffin, and learned about the devoted nature of horror and sci-fi fandom over the years and the ways he could support his local Canadian film industry. In "Victims and Virgins," Lynne Griffin gets a new 26-minute interview covering her career in depth (and dig the red hair!) in which she talks about the challenge of playing dead with a cat licking your face, her mom's reaction to seeing the film, her classical stage background (and thrill at meeting the "slightly overwhelmed" Hussey), and the trick she pulls to get attention at horror conventions. As with other Scream Factory Collector's Edition titles, early orders directly from their site got a poster of the new cover art design. A year later in 2017, UK label 101 Films released its own dual-format Blu-ray and DVD edition of the film, featuring the 5.1 and stereo mixes in LPCM audio on the Blu-ray and standard Dolby Digital on the DVD. Interestingly, the transfer appears to be based on the same newer HD scan found on the Scream Factory release, but it doesn't look identical; the appearance here is a bit brighter, which brings out some significant additional detail (especially in the darker scenes). Images in the body of this review are from the newest transfer on the US release, while UK ones are below for comparison. Whether that's preferable is up to individual taste as some may argue for the darker, moodier look of the American edition, but either way, it's visually pleasing and looks pleasingly vivid with that familiar grain structure intact. Extras include the "Film and Furs" featurette with Hindle, the "Victims and Virgins" piece with Griffin, the "Black Christmas Legacy" mini-doc, the 40th anniversary reunion panel, and TV and radio spots. Mandatory horror viewing any season of the year. Updated review on November 25, 2017.